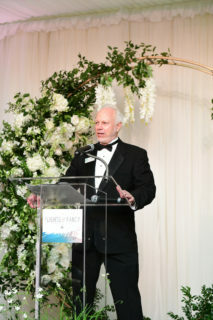 On Saturday, April 6, Zoo Ball: Flights of Fancy Presented by Phillips 66 raised vital funds for the Houston Zoo. 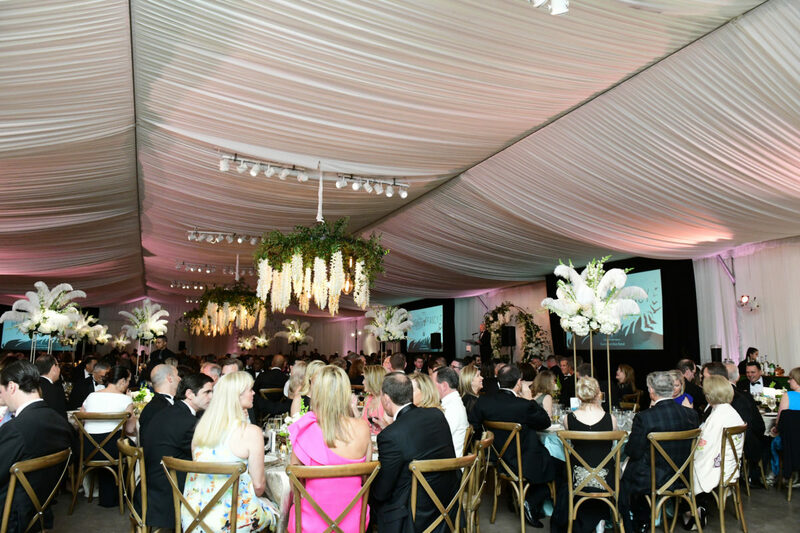 At this year’s black-tie gala, more than 400 Houstonians celebrated the wondrous world of birds and raised nearly $800,000 to support the zoo. This year’s event, hosted by chairs Demi and Ron Rand, was themed to highlight the zoo’s efforts to care for and protect birds around the world. 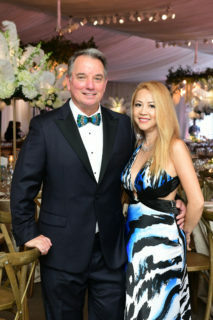 The party-goers turned up the volume on gowns and glamour, and the zoo transformed its tented event space, Masihara Pavilion, into a colorful ballroom. City Kitchen served a delectable, multi-course dinner beginning with a spring medley panzanella, followed by savory prime aged filet of beef in pinot noir wine reduction over saffron orzo pilaf with sweet peppers and broccolini, and macerated peaches with blueberry sorbet, candied orange rind and almond cookie for dessert. Zoo president and CEO, Lee Ehmke shared the zoo’s plan for a new Avian Conservation Center opening in 2021. The center will enhance the zoo’s efforts to breed endangered birds like the Colombia’s blue-billed curassow. This plan will also revitalize the zoo’s bird garden to better showcase the many birds in beautiful new aviaries.